Devices connect to Tracertrak using a variety of communications networks. These communications networks typically use cellular or satellite technology and in some cases a combination of the two. Each type of network technology operates differently and will have different advantages for different applications. Tracertrak provides a choice of networks to ensure we can match the right technology to the right customer solution. Globalstar Simplex Data is a one-way store and forward data service with very low power requirements and low cost hardware. Globalstar Simplex is ideal for long term tracking and event monitoring of unpowered assets anywhere and also for low cost remote worker safety solutions. Asset tracking modules are available with multiple years’ of service from a single set of batteries – just fit and forget with no technical installation required – while worker safety solutions using the Globalstar network are simple, easy to use devices that are supplied ready to use. 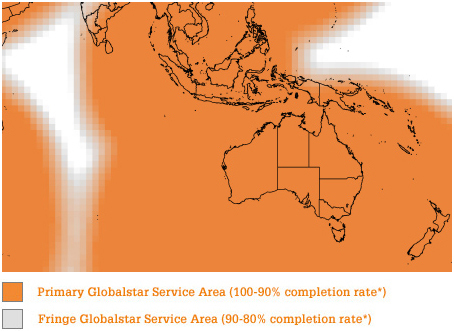 Globalstar provides coverage across most of the earth’s land masses and coastal zones. *Reception limitations and some exclusion zones apply. *Completion rates based on Remote Telemetry Units (RTU) that are set to transmit a single packet message 3-times (the original transmission plus 2-repeats) in the frequency appropriate for the given regions. This is an estimate of coverage only. Actual Remote Telemetry coverage may vary based on terminal location, terrain features, signal strength, and other factors affecting satellite communications. Coverage may vary. Specifications subject to change without notice. The main benefit of the Iridium satellite network is that it provides truly global coverage over the entire surface of the planet. The Iridium ‘Short Burst Data’ service (SBD) is a ‘store and forward’ messaging service that enables devices to send small packets (up to 340 bytes/15-30 bytes typical) of data to Tracertrak. These typically include information such as location, speed, heading and short text based messages. SBD is a two-way satellite messaging service that also allows Tracertrak to communicate back to devices. Please note: Although the Iridium Network provides truly global service, use of the service may be prohibited or restricted in certain countries. Iridium complies with U.S. embargo restrictions and as such is prohibited from providing products and service to the following countries: Taliban controlled Afghanistan, Cuba, Iran, North Korea, Syria and Sudan. Certain other countries may have laws which prohibit or restrict the use of Satellite Telecommunications services in those countries. The use of Satellite Telecommunications services is specifically prohibited in India without a permit. The use of Satellite Telecommunications devices or services may be prohibited, restricted or unlicensed in other countries. Since this is beyond Pivotel’s control and regulations may change without notice, Pivotel recommends checking with the local consulate for the country you will be travelling to if you are unsure. 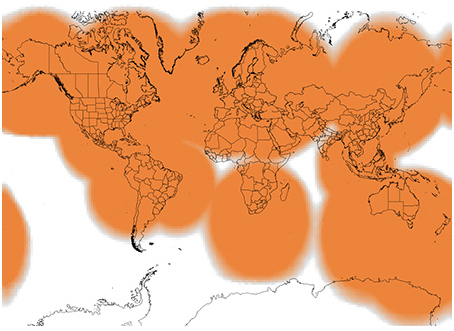 Inmarsat provides coverage over most of the planet except for the Polar Regions. 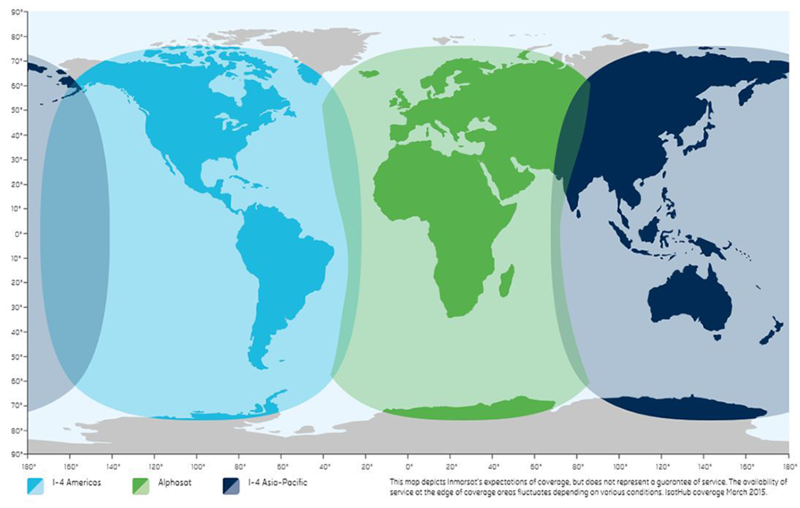 The Inmarsat ‘Isat Data Pro’ service (IDP) is a ‘store and forward’ messaging service that enables devices to send small to medium sized packets (up to 10,000 bytes/ ~30 bytes typical) of data to Tracertrak. These typically include information such as location, speed, heading and monitoring data for various inputs/sensors. IDP is a two-way satellite messaging service that also allows Tracertrak to communicate back to devices. IDP devices are typically used in remote monitoring and control type applications.